THE BEST DEAL ON A LAZZARA 76 FT.
Powered by twin 1150hp MTU diesel engines and twin 20 kw Onan generators with sound insulation. Ideal for charter or live-aboard with an enormous grand salon, large open galley with dinette, spacious flybridge sky lounge with helm station, large flybridge aft deck, roomy cockpit with access to the swim platform, and large bow sun pad. Accommodations include 3 large passenger suites, a day head, a laundry room, crew quarters with 2 suites and an office/laundry room. Extras include a television satellite dome, bow thruster, gyro stabilizer system, and underwater lights. West Florida Yachts would love to guide you through a personal showing of this 76' Lazzara 76 GRAND SALON 2000. 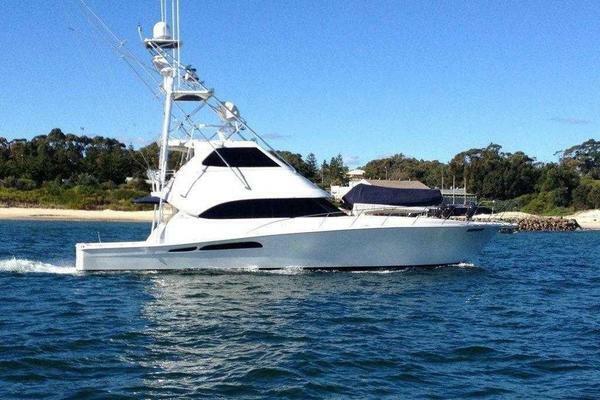 This yacht for sale is located in Miami Beach, Florida and priced at $649,000. For a showing please contact us by filling out the form on this page and we will get back to you shortly! Through boarding gates, enter the large cockpit with rectangular table, cushioned seating, refrigerator/ice maker, sink, backing up camera, docking controls, and access to the huge flybridge and swim platform with hot/cold transom shower and access door to the engine room. Climb a stainless-steel ladder to the flybridge aft deck with rectangular umbrella table, cushioned seating, lounge chairs, electric/gas grill, and sink. Through a glass sliding door is the spacious air conditioned sky lounge, ideal for entertaining, with a refrigerator/ice maker, 24" flat screen color television, stereo/cassette/CD player, cushioned sofa, chairs, and adjustable helm chairs with complete electronics, and a stairway to the cabin below. Returning to the cockpit, through a glass sliding door, enter the enormous grand salon which is also ideal for entertaining with a 30" flats creen color television, stereo/CD/DVD player, beautiful dimmable lighting, sofa, chairs, dining table, bar top, and a surround view. Moving forward, enter the open galley with full size refrigerator, oven/convection oven, microwave/convection oven, 4-burner glass cooktop, trash compactor, dishwasher, upper/lower cabinets, granite countertop and dinette table, cushioned seating, 19" flat screen color television, surround view, and nearby day head. Continuing forward and down 8 steps is the crew office/laundry room. The roomy forward captain's stateroom includes a queen berth, cushioned chair, hanging locker, storage cabinets and drawers, 19" flat screen color television, DVD player, and En-Suite head with toilet, sink, and shower enclosure. The starboard side crew quarters include upper/lower bunks, closet, storage cabinets and drawers, 19" flat screen color television, stereo/cassette/CD player, and En-Suite head with toilet, sink, and shower enclosure. Returning to the main salon, 9 steps down a spiral staircase is the laundry room with concealed washer and dryer, walk-in closet, and large storage cabinet with shelves. Forward are the attractive port and starboard VIP staterooms which have a queen berth with drawers below, a mirrored closet, and an entertainment cabinet with a 19" flat screen color television, DVD player, and stereo/cassette/CD player. The En-Suite heads have a fiberglass shower enclosure, ceramic toilet, Corian countertop with oval sink, and mirrored vanity. Aft of the laundry room is the beautiful master suite. The spacious stateroom includes a queen island berth with drawers below, a large cabinet with drawers and shelves, nightstands, an L-Shaped sofa, an entertainment cabinet with a 26" flat screen color television, DVD/CD changer, and an audio system, a desk with a concealed vanity cabinet, and a large walk-in closet with storage cabinet and shoe rack. The large En-Suite head has a separate ceramic toilet, large marble countertop with his and hers sinks, mirrored medicine cabinet and vanity, storage cabinets, drawers, and cubes, and a large fiberglass jacuzzi tub/shower enclosure for your relaxation. Highlights: The enormous grand salon is ideal for entertaining large groups with a 30" flat screen color television, new stereo/CD/DVD system, new beautiful dimmable lighting, ample seating, a surround view, and access to the spacious cockpit with large table, cushioned seating, and gate to the swim platform. Highlight: There is a freshwater system for the toilets throughout this vessel. Highlights: The large open galley with full-size appliances and dining area has a surround view. Highlights: The beautiful spacious master suite with walkaround queen berth, sofa, vanity/desk, and jacuzzi tub/shower enclosure provides luxurious live-aboard accommodations. Highlights: There is a backing up navigational camera and port and starboard docking controls. Highlights: The spacious air conditioned sky lounge is also ideal for entertaining with a 24" flat screen color television, AM/FM stereo/cassette/CD player, refrigerator/ice maker, and access to the large flybridge aft deck with an electric/gas grill, umbrella table, and cushioned seating and lounge chairs. Powered by twin 1150hp MTU diesel engines and twin 20kw Onan generators with sound insulation. Ideal for charter or live-aboard with an enormous grand salon, large open galley with dinette, spacious flybridge sky lounge with helm station, large flybridge aft deck, roomy cockpit with access to the swim platform, and large bow sun pad. Accommodations include 3 large passenger suites, a day head, a laundry room, crew quarters with 2 suites and an office/laundry room. Extras include a television satellite dome, bow thruster, gyro stabilizer system, and underwater lights.